Life Hotel is a 4* hotel located in Oaxaca, Mexico. It features 33 rooms. 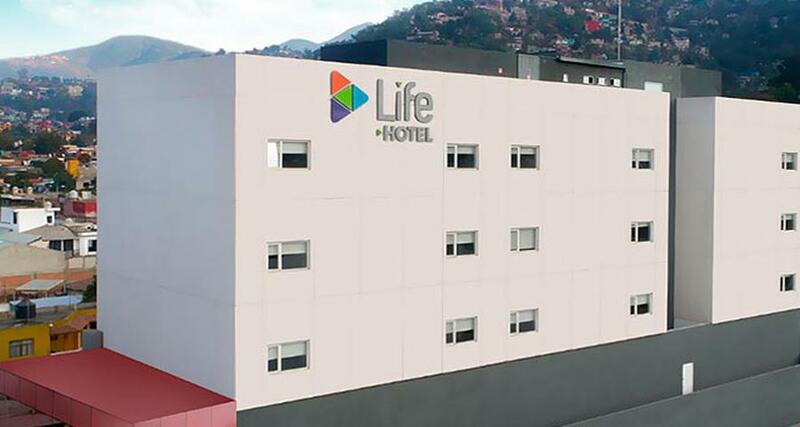 Life Hotel is located by Cristobal Colon highway, an important road in Oaxaca, and it features a modern style, as well as convenient services, such as a business center, an event room, parking and breakfast area. All of the guestrooms offer air conditioning, Wi-Fi and local free calls, as well as an ideal environment to enjoy a pleasant stay after a long day in the city.